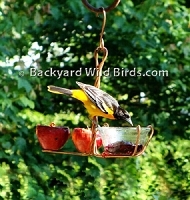 Cardinal Wind Chime is a stained glass wind chime with tuned tubes and copper accented. 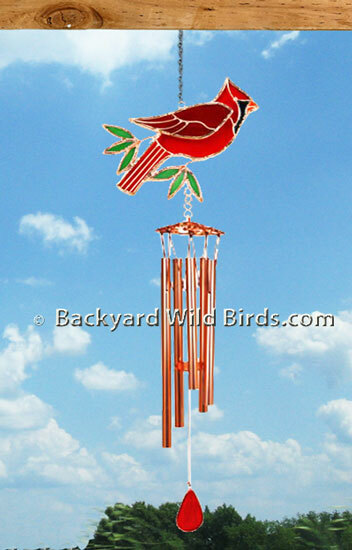 The Cardinal Wind Chimes has a large 6 inch wide stained glass red Cardinal that will never fade and copper tubes about 14 inches in length. Highest level electroplated metal finishes will not peel, tarnish or rust. It is waterproof, weather proof and is made to last. It has a 20 inch overall length. Add colorful light and sound to your backyard!